Davis is a tough operator and keen "Remainer" who combines street-fighting savvy with an intelligent approach, as he displayed in a thoughtful essay for Campaign’s "The Year Ahead" issue at the start of 2018. Keeping some of the agency’s big UK clients happy, such as Asda, which changed its creative agency, and KFC, when it used "FCK" to say "Sorry", was no mean feat as Brexit looms. 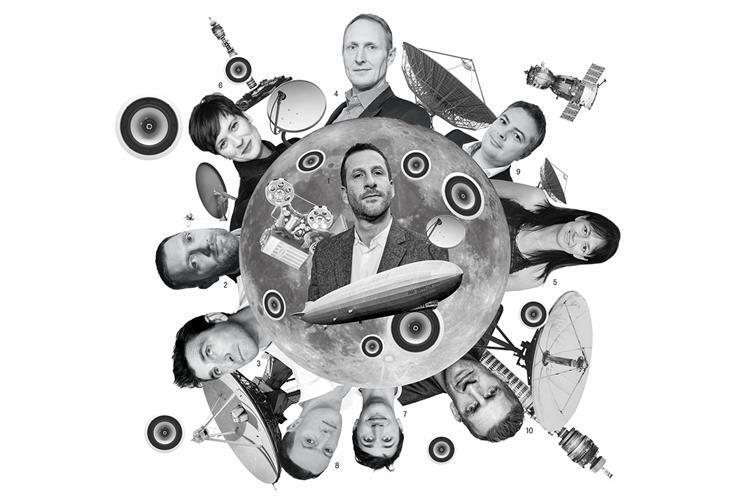 Adams has been a steady hand during a time of upheaval after the group brought media and creative together in Havas Village and parted ways with a string of executives. Winning at Cannes Lions for O2’s "Oops!" and consolidating the Giffgaff business in Team Telefónica has given Adams’ team some needed momentum. The ex-Vizeum UK boss is helping to rejuvenate the Interpublic agency’s London operation, winning the LV= insurance business to add to a growing international client list including Amazon and Lego. Morris is able to draw on his media planning background and takes a thoughtful approach at Initiative UK. Winning a brief to help Vodafone manage its digital media buying in-house put Gilbert’s six-year-old performance marketing agency on the map. The ex-Googler is far from a typical agency suit and is challenging the status quo with his transparent approach. Brainlabs was shortlisted for Agency Team of the Year at the Campaign Media Awards. Djurdjevic is a smart operator who has fine-tuned the PHD machine, boosting the planning function and strengthening the management team. Winning HSBC’s global account was the highlight of the year. In addition, PHD’s rhythms planning unit won Agency Team of the Year at the Campaign Media Awards. The boss of Britain’s biggest independent media shop champions the role of agencies and the importance of media transparency. She has invested in the7stars’ inclusive culture, moving her team into new offices and nurturing Bountiful Cow as an offshoot agency. Clays is a straight dealer who has led a revival in OMD’s fortunes after a series of client and personnel departures. His team snared Lidl’s planning account to add to last year’s Barclays and Ocado wins and he has proved his resilience by becoming one of the longer-serving UK media network leaders in a sector that has been through turmoil in recent years. The energetic agency chief has become one of the flag-bearers for the independent sector with the annual Goodstuff Showcase that brings creative agencies and media owners together. Stephens and co-founder Ben Hayes have built a fun-loving, inclusive culture at Goodstuff and continue to support the wider sector with a plan to invest up to £1m in agency start-ups. The understated MG OMD chief led the Omnicom agency to the best year in its 28-year history when it won the government’s £150m media buying account after a review that set new standards for transparency. Pearson has assembled a strong management team with a record of producing effective work for clients ranging from Age UK to Virgin Trains. It won big at the Media Week Awards. Krichefski put his personal stamp on Britain’s biggest media shop after three years in the job by investing heavily in mental health support for staff during a demanding year. His team fought hard to retain Sky’s £300m account with an expanded brief, helped to win Adidas and Mars globally and scooped a Grand Prix at Cannes Lions for Tesco’s "Food love stories". Krichefski capped a strong year when MediaCom won Agency of the Year and he was shortlisted for Media Leader of the Year at the Media Week Awards.